Michelangelo Cicogna is a partner at De Berti Jacchia Franchini Forlani since 2003. He was previously at the Chamber of Arbitration of Milan and in a law firm specialised in white collar crimes. Michelangelo’s practice over the last 20+ years has mainly focused on Arbitration and ADR, Litigation, Compliance and Employment law. As far as Arbitration and ADR is concerned, Michelangelo has acted as counsel in both ad hoc and institutional arbitrations mainly under the rules of the ICC, ICSID, UNCITRAL, the Milan Chamber of Arbitration, the Madrid Arbitration Court, the Chamber of Arbitration of Bucharest, Vienna International Arbitration Center (VIAC), Lebanon Chamber of Arbitration and MKAS in Moscow, handling numerous complex arbitrations including multi-party disputes and parallel proceedings. As arbitrator, he has served as chairman, sole arbitrator or co-arbitrator in a number of arbitrations under the rules of the ICC, Milan Chamber of Arbitration, DIS, Swiss Chambers of Commerce, PCA and the UNCITRAL rules as well as in ad hoc arbitrations. His dispute resolution work predominantly relates to Construction or Infrastructure Projects, Energy, Insurance coverage issues, IT and TMT, Joint Ventures and Consortia, Fashion, M&A and general commercial and distribution matters. He also regularly serves as mediator in international and domestic mediations. Michelangelo’s practice also focuses on Compliance and anti-bribery law. He chairs the Supervisory Board for Compliance of several multinational groups (some of them listed at the NY and Milan stock Exchange). Michelangelo has been assisting his clients in various capacities in some of the most sensitive compliance investigations over the last decade and has structured compliance programs for multinational companies. In the compliance sector his clients are active in the following industries: IT and TMT, Medical Devices, Temporary Work Agencies, IT and Consultancy servicies, Railways and Logistics, Automotive, Luxury and Retail. On the employment law side, he advises companies on any aspect of employment law both on a transactional as well as litigation level. He has managed mass redundancy and reorganisation processes assisting major international groups. Clients assisted on Employment matters are active, amongst others, in the following industries: Fashion and Luxury, IT and TMT, Automotive, Construction, Chemicals, Industrial products and equipment, Medical Devices, Entertainment Sports and Tourism. He is member of the ICC commission on International Arbitration, former president of the AIJA international arbitration commission and vice-chair of the international arbitration committee of the American Bar Association’s international law section. He is co-founder and co-chair of ArbIt, the Italian Forum for Arbitration and ADR. He is a member of several ICC Consultative Task Force. He is co-chair of the Arbitration Study Group of ASLA, the association of major law firms in Italy. Michelangelo is mentioned by his peers in the 2011 through 2018 Who’s Who Legal of international commercial arbitration as one of the leading practitioners in Italy. He is also mentioned in various legal directories. 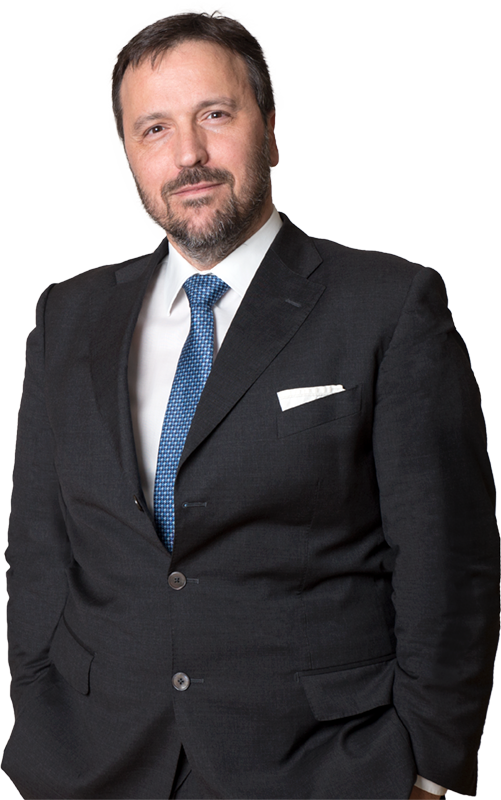 Michelangelo Cicogna has written extensively on mediation and arbitration matters and is the co-author of one of the most widely used reference books for ADR practitioners in Italy. He frequently speaks at conferences on international arbitration and ADR (more than 150 so far). Michelangelo lectures at Luigi Bocconi Milan University on Advocacy in International Arbitration. He trains local judges on International arbitration matter as an International expert of IDLO (International Development Law Organisation). He coaches the Luigi Bocconi Milan University team at the Willem Vis International Arbitration Moot in Vienna since its first participation in 2006. He teaches at the Sports Law LL.M. in Zurich (Corruption in sports). He has been teaching mediation and negotiation techniques (with more than 1,000 mediators trained). Representing an Italian construction company in an ICC arbitration against a Saudi company over the construction of a sewage system in Riyadh. Rules: ICC – seat: Paris – Governing law: Kingdom of Saudi Arabia. Representing an Italian construction company in an ICC arbitration against a South Korean company. Rules: ICC – seat: Seoul – Governing law: South Korean. Co-Counsel in an ICSID arbitration related to an investment made by a Joint Venture (Spanish and Italian companies) in the State of Kuwait. Party appointed arbitrator in a case between a major French industrial company against an Israeli state owned company. Rules: ICC – Governing law: Swiss – Seat: Zurich. Assisting an Italian engineering group in a dispute against a Slovak energy company and a major German insurance company relating to a turn-key project in Slovakia. Rules: Vienna International Arbitration Center – Governing law: Slovak – Seat: Vienna. Appointed by the ICC as president of arbitral tribunal in a construction case between a Swiss multinational Company and an Egyptian supplier. Rules: ICC – Governing law: Swiss – Seat: Geneva. Appointed as side arbitrator in a case between an English company and an Italian company related to the supply of goods. Rules: Swiss Rules – Governing law: CISG – Seat: Geneva. Appointed as sole arbitrator by the ICC in an international arbitration between a French company and a British Virgin Island legal entity in the energy sector relating to the deployment of oilfield. Rules ICC – Seat: Geneva – Governing law: Swiss – Language: French. Appointed as side arbitrator in two parallel proceedings on EPC projects disputes between the Italian branch of a Japanese group and two Romanian companies. Rules: Chamber of Arbitration of Milan – Governing law: Italian – Seat: Rome. Successfully represented a construction company in a complex multiparty and parallel proceedings arbitration over the erection of a five-stars hotel in Beirut. Several pending arbitrations against the employer and the subcontractors. Rules: Lebanese Arbitration Center – Governing law: Lebanese – Language: English. Party appointed arbitrator in a EPC related case between a Rumanian company against an Austrian group. Rules: ICC – Governing law: Rumanian – Seat: Bucharest. Appointed as sole arbitrator by the Associazione Italiana per l’Arbitrato (A.I.A.) in a case between an Italian manufacturer and a major construction company concerning the delivery and installation of pipes. Rules: A.I.A. – Governing law: Italian – Seat: Rome. Appointed as sole arbitrator by the Permanent Court of Arbitration of The Hague in a commercial case between an Italian manufacturer of and its agent. Rules: UNCITRAL – Seat: Milan – Governing law: Italian. Representing an engineering company in an arbitration over the construction of a bridge in Algeria. Rules: ICC – Governing law: Algerian – Language: French. Representing a Dutch multinational company active in the food industry in an ICC arbitration against an Italian distributor. Rules: ICC – seat: Milan – Governing law: Italian. Assisting a major construction company in two parallel international arbitration proceedings on complex construction and insurance matters. Rules: ICC – Seat: Stockholm – Governing law: English and Russian law – Language: English. Representing a multinational company active in the field of gas and energy in an international arbitration in Spain on the supply of valves for a pipeline in Morocco. Rules: Corte de Arbitraje de Madrid – Seat: Madrid – Governing law: CISG and Spanish – Language: Spanish. Party appointed arbitrator in an international arbitration over a construction project in Libya. Rules: Chamber of Arbitration of Milan – Governing law: Italian. Representing a Swedish telecom operator in an international arbitration over the supply of interconnection services. Rules: Chamber of Arbitration of Milan – Seat: Milan – Governing law: Italian – Language: English. Assisting a real estate company in an international ad hoc arbitration over the interpretation of a several provisions of a settlement agreement. Seat: Hong Kong – Governing law: English law – Language: English. Co-arbitrator appointed by the Secretariat of DIS in a case related to a claim brought by a German company that invested in the solar energy sector. Rules: DIS – Governing law: German law – Seat: Hamburg. Representing an Italian company in an international arbitration against the flag carrier of a CIS Country relating to a contract of transport. Rules: MKAS – Seat: Moscow – Governing law: Russian. Appointed as side arbitrator in a case between a major French industrial company against an Israeli company active in the transport industry. Rules: ICC – Governing law: Swiss – Seat: Zurich. Representing a major Italian fashion group in an international arbitration against an Irish service company. Rules: Chamber of Arbitration of Milan – Seat Milan – Governing law: Italian. Mediator in more than 100 disputes on various matters including telecommunication and IT, tourism, energy and environment, medical devices, manufacturing, construction, fashion. President of the Surveillance Body for anti-Bribery and Corruption issues of Alcatel-Lucent, Gartner Italia, Openjobmetis and Nokia. Past chair of the Surveillance board for compliance at Swiss Cargo Railways and Siemens Networks. Assisted in the setting up on a compliance and anti-corruption structure several multinational companies operating in the following areas: IT, Telecom, Pharmaceutical, Mechanical Industry, Medical, Railways, Retail, Human resources, Waste Management, etc. Conducted investigations on several important cases of commercial fraud, compliance and bribery, environmental crimes, damages deriving from the violation of health and safety obligations, and contributed to design the procedural strategy. Regularly assisting multinational companies in drafting and negotiating employment contracts, agency agreements, preparing work force lay outs, carrying out collective dismissals (up to 300 employees) and restructuring as well as in their litigation in court. Assisting a major Swiss insurance company in handling the claims arising from the crash of an airplane against the Milanese skyscraper “Grattacielo Pirelli”. Negotiating a UMTS equipment supply agreements (between a major German telecom equipment supplier and one of the first operators starting up its activities in Italy on 3G mobile systems). Assisted a major German Telecoms company in drafting and negotiating Framework Agreements and other contractual instruments for the creation of the biggest DWDM (Optical Fibre) Networks in Italy (backbones and city networks) (100 M€ at stake). JACCHIA R.A. – CICOGNA M.
He has contributed to the translation into Italian of several arbitration rules including the official translation of the Mediation and Arbitration Rules of the ICDR (International Centre for Dispute Resolution) and that of the ICC.